Is there are a bubble in the art market? 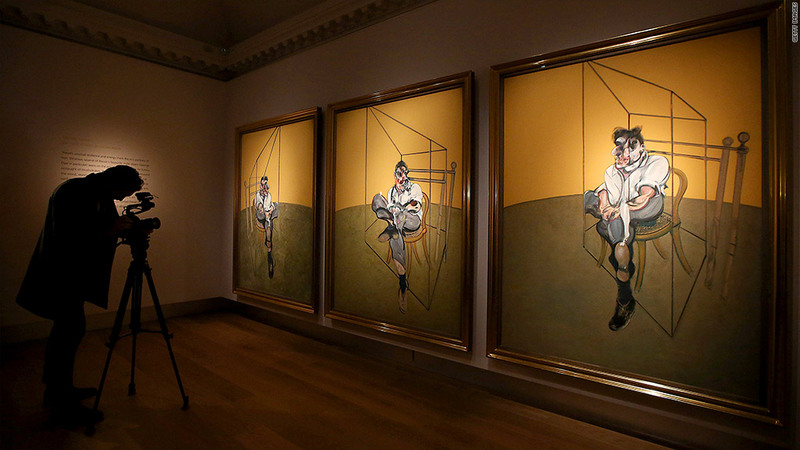 This painting by Francis Bacon sold for a record $142 million. It's been a record-setting week for the art market, and some experts say the boom is just getting started. A sale earlier this week of Post-War and contemporary art brought in more than $691 million, the largest haul in the history of the art market, according to the auction house Christie's. The highlight was a painting by Francis Bacon, "Three Studies of Lucian Freud," which went for over $142 million, the highest price ever for a piece of art sold at auction. 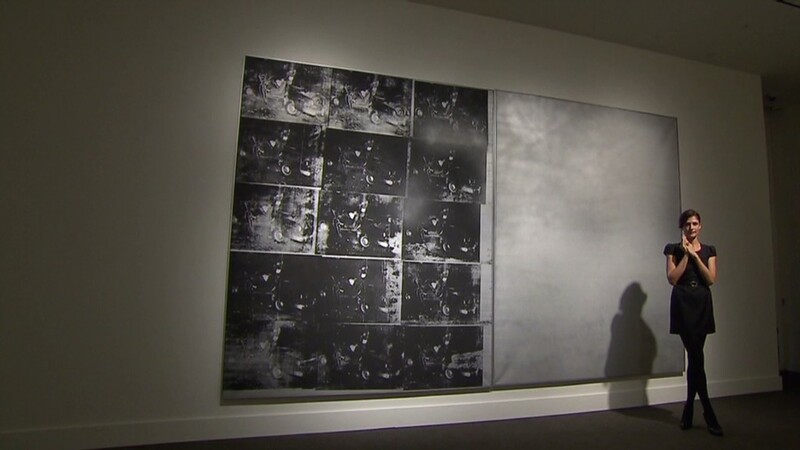 Over at Sotheby's (BID), a silk-screen painting by Andy Warhol sold Wednesday for $105 million. The art market has heated up just as Wall Street has been setting records of its own. Stocks have soared to all-time highs. So there may be a spillover to the art market as the already wealthy are now even richer. But is there a bubble in the art market? Several experts say no. They think prices could continue rising thanks to growing demand from overseas collectors and high-net worth individuals. "There are going to be bubbles in certain artists," said Philip Hoffman, chief executive of the Fine Art Fund Group, an investment and advisory firm. "But the market itself has exploded." Hoffman said demand has been the strongest for certain big-name artists, including Bacon, Mark Rothko and Jeff Koons. On Tuesday, Koons' "Balloon Dog" fetched $58.4 million, a record for any piece of art sold at auction by a living artist. But works by other important artists, who are not quite as popular at the moment, have been more reasonably priced, said Hoffman. "It's the trophy lots that are making the huge money," he said. The buyers of these works, he added, "want a show-off picture by a brand name artist." Hoffman said his fund considered bidding on the Bacon painting at $100 million, but decided it was "too risky." Beyond the blockbuster auctions, Hoffman said there are plenty of other attractive investments to be had in the art market. And demand from wealthy collectors shows no sign of slowing down. Hoffman said his fund has grown to $300 million in assets, up from $10 million in 2005. "There's huge potential in the art market, but not necessarily in Bacon," he said. "We're not going to see that again anytime soon." Katharine Markley, lead market analyst at artnet, a company that specializes in online art auctions, said there has been strong demand from overseas buyers, particularly Japanese collectors who've benefited from Abenomics and a big surge in the Nikkei this year. "There are a lot of new collectors, specifically international collectors, coming into the market," she said. "They have enormous purchasing power." Chinese buyers, who dominated the market until 2011, have also been very active in recent auctions, she said. But she acknowledged that prices at current levels are somewhat frothy. "A lot of people are wondering when this will end," she said. Markley said the art market is usually correlated with the health of the economy, which is underwhelming by most measures. But she added that demand for art held up through the 2008 financial crisis and didn't slow until 2010. "It's hard to tell if we're in a bubble," she said. For some, it's not that hard to tell. Alan Bamberger, a consultant at ArtBusiness.com in San Francisco, said the art market is being distorted by wealthy buyers who don't always understand what they are buying. "This is a top one percent phenomenon," he said. "It's not trickling down to the rest of the art world." Bamberger said the market is becoming more speculative, with prices surging for works by young, unproven artists. As a result, he said traditional collectors are being priced out. "These [buyers] aren't really in this for long haul. They're in this to see if they can cash in on the boom," he said. "When the market gets too populated with people who just want to have some art in their 'portfolios,' then that's a bit upsetting to the natural order of things."